I'm so highly confused but maybe you guys can help me. My girlfriend lives in Bristol, United Kingdom, shes a British Citizen while I'm American. I'm not very good at explaining myself so beware but I'm desperate and out of options here. I quit my job that same month. I bought a round trip ticket to stay there for about 3 months. I did know there was a limit with just a passport. I didn't know I need a visa for the time I was trying to stay. I really didn't have enough funds that was require for me to stay for 3 months. After hours of waiting, they finally made a decision of not allowing me to enter. They said they couldn't allow me to enter because I didn't have a visa and low on funds. Devastated, they allowed me to stay with my lover for 72 hours for it was time for me to go back to America. Once again, not giving up I attempt to see her again but was stop at Ireland (my layover flight was there). 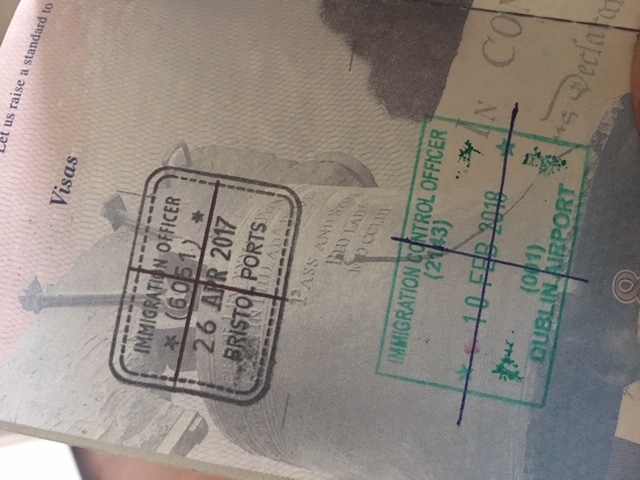 No knowledge of knowing they check passports for England I got stop and grilled again, they asked me why I was refused entry in the UK, I told them the truth and let me add - I was prepared for this trip, I shorten my stay for two weeks and had enough money to last for my stay. They told me I can't enter their country for my flight because I need to go straight to UK or have a visa to enter. So, after getting deported and coming back to America once again, I decided to apply for a visa. I had all the supporting documents and they still refuse me. 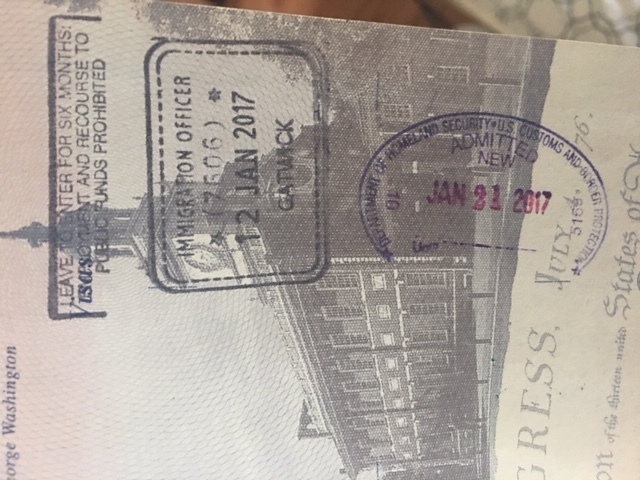 They explain they refuse my visa because they felt like I'm trying to stay in their country "illegally" how can they make such a judgement when I was once there in Jan. 2016 and left the UK within two weeks. So now I'm here, running out of options - I have no idea what to do next. Do anybody have any clue what I should do??? Do anybody have any clue what I should do??? Seek help from an immigration lawyer. 2 entry refusals and 1 visa refusal are not helpful at all. I don't think you can solve this yourself now. If you (or i) can sound desperate to ordinary folks like on this forum, we definitely will sound desperate to the immigration officers and a visa refusal for a non visa national is not really a small deal. At this point, stop digging. As Hanky Panky notes, you're looking increasingly desperate to get into the UK (buying multiple sets of international flights when you're unemployed and don't have sufficient funds to support yourself looks inherently suspicious), and you're producing an immigration record that will hurt your chances to get into the UK well into the future. Personally, I'd wait. Arrange for your girlfriend to visit you in the US. We'd need to see the visa refusal letter to know why exactly you were refused, but in general, work on building up a stable life in the US so that it's clear you'll return home after your visit. A stable job and suitable savings so you can afford your trip and have plenty left over for after you get back will go a long way. Limit your stay to a shorter period of time, one consistent with a typical vacation from work. Travel elsewhere and return on time to demonstrate a travel history. Allow some time to pass so you do not appear fixated on entering the UK. From there, you could apply for entry clearance again, or hire a UK immigration lawyer to help prepare your application to give you the best chance of success. I completely agree this is likely a 42(a)/(c) refusal. Here's what's going on. You have no right to enter their country (that would be citizenship). You are asking for permission to enter ("leave to enter" is the British expression). Britain has several categories of visa, allowing different activities: tourism and misc. activities, employment, student (allowing limited employment), transit, etc. Americans get a visa waiver only for certain activities and employment is not one of them. seeking employment without an appropriate work visa. UK has some of the toughest rules on "employment", you can't even telecommute, do work for your USA employer for USA customers whilst being paid in USD to a US bank. over-staying your visa, e.g. If you are allowed 6 months on visa waiver, staying a year. You present as a young person who's unemployed and with nowhere near enough money for the stay in Britain you have planned. By your choice of visa (Visa Waiver Program) you are swearing that you won't seek employ or go on the dole. But since you have no money, you inevitably must do one or the other... or go home early. That's an immutable law of financial reality. You're ignoring it... but they're not. The fact that you're spending the last of your money to make it to UK is also something they see a lot of. You also present (again as young people often do) as someone who is "adrift" or "footloose and fancy free", and doesn't have significant ties that would drag you back to the USA. In fact, your most significant tie is in Britain: your girlfriend. So the bulk of your facts show a greater likelihood to stay in the UK indefinitely, rather than ever return to the USA. So this, too, pops all the red flags for "overstayer". Lastly, repeated attempts to get into the UK (and not other countries) undercuts any claim of tourism. There are 185 other cool countries! So to UKVI, desperation to get in to the UK specifically, implies you know someone in the UK who has a job or situation waiting for you. And that rhymes with "overstay". How do you correct that? First, show that your life has financial solvency outside the UK. (Remember: no telecommuting). For instance if you own a bunch of rental properties that produce income, or a reasonable purpose for a time-limited UK visit, and more than plenty of funds to cary you through that. (Remember they really hate to see you spend your every last dollar on a UK visit). Second, have ties back in the US. Own a home. Have a good job. Have a hard-won, licensed profession that doesn't transfer easily to other jurisdictions (teacher, electrician, lawyer, lobbyist, etc.) Have a business that can't run forever on autopilot. Have a cultural or political role (nonprofit Board member, political activist, National Guard reservist.) Anything to show that you have something to go back to. Lastly, don't be desperate. In this case, you'd want to establish the above, and successfully tourist in other countries, before attempting UK again. You've really dug yourself into a hole. You're treating the whole question of entry into another country far too lightly and you've really messed up your official record. You're going to need expert help in the form of a lawyer or an advisor who specialises in such matters. demonstrable intention to return permanently to your home country. The present UK government was elected on a ticket of keeping out foreigners by taking tighter control of borders; you can expect their employees to do just that. If it's any consolation, the US authorities are similar, but much more brutal in their execution of the task. From what I read so far there is nothing wrong with you apart from the desperation the border officers see in you. You were just visiting the UK without concrete reason: to them, you were planning to move there illegally; US and Canadian immigration officers see the same and make the same judgments all the time. Just as Zach said, arrange for your girlfriend to visit. Another suggestion will be to allow for a reasonable time(6 months) before you try and visit again plus you better have a stable job then. Not the answer you're looking for? Browse other questions tagged visas customs-and-immigration borders or ask your own question.